Want your dog to be featured on Spoiled Hounds? If so, you have come to the right place! It’s a simple process. All you have to do is fill out the form below. Write about your dog in a document (like Word or Google doc). It’s a lot easier to copy the whole thing and then paste it into the form. You can also edit and finalize it prior to submitting. Aim for at least 300 words. Keep it G-rated, and absolutely no politics allowed. Would you rather answer questions about your dog? Then head on over to the Featured Hounds Interview. Have questions? Send an email to renee@spoiledhounds.com. So I can include it in the article's first paragraph. Example: This is the story of Zipper written by his human mom, Betty. Will not be published or added to any email list. It is only used if I need to contact you regarding your submission. Your dog's name. You can also add a short something after it. Example: "Zipper, the Wonder Dog". This is the field where you paste what you have written about your dog(s). Verify you agree to the storage and handling of your data by this website. The data contained in this form is necessary for the feature article to appear on the site. If you do not agree, your submission will be deleted. 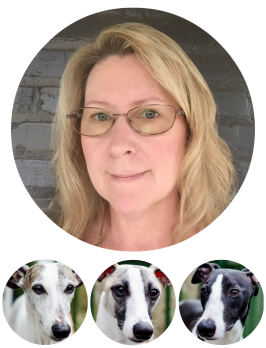 Photo usage rights: By sending me photos, you agree to them being on this website and used when sharing featured hounds articles on social media (because I love sharing Featured Hounds stories!). Your photos would never be used in any other capacity without your permission. Editorial Policy: I reserve the right to edit as needed for grammar, spelling, and removing any portion of the content not appropriate for this website. If you have a website, you are welcome to include a mention of it in your dog’s story.